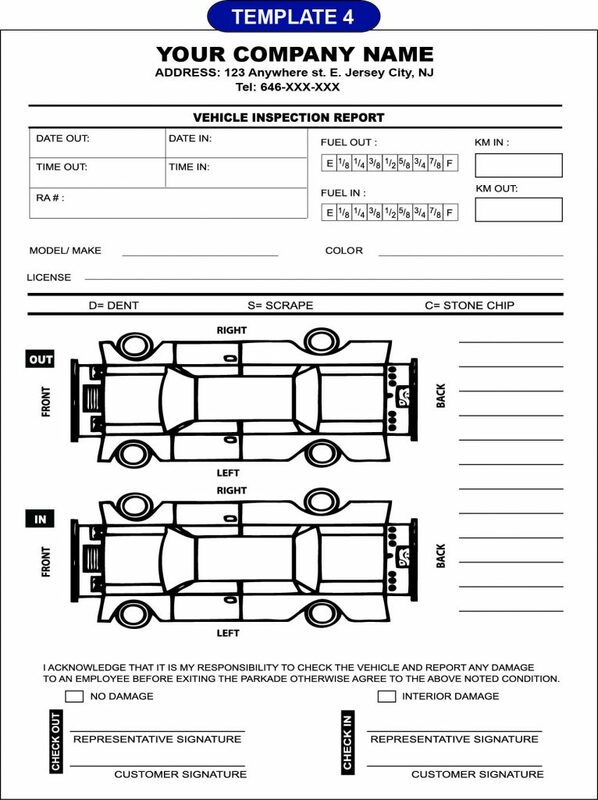 Carbonless forms also known as NCR (No Carbon Required) are commonly used as Invoices, Work orders, Estimates, Receipts, Contracts, Vehicle Inspection Form, daily log sheet, Vehicle Inspection Reports, Daily Reports and more. These can be customized as per your requirement. The Terms and Conditions can also be imprinted on the backside. 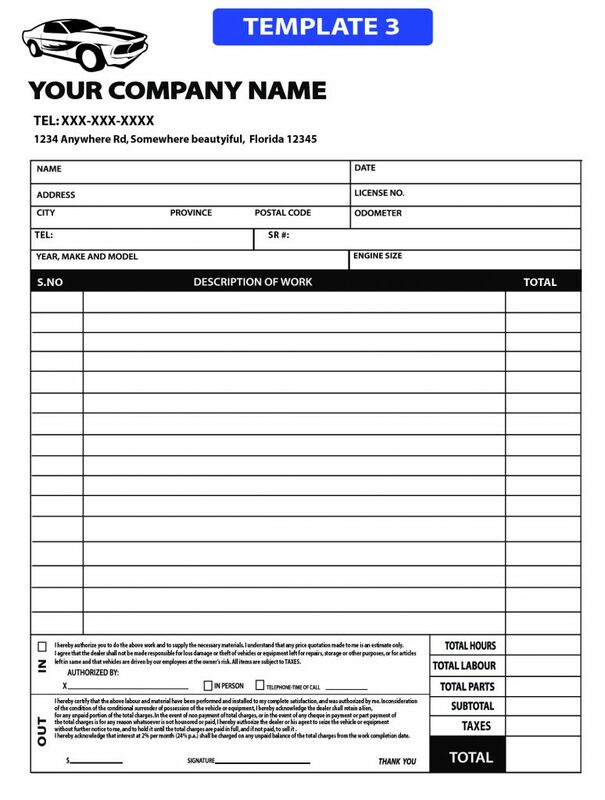 Carbonless forms make it very easy for having a copy of the same document as issued to client. 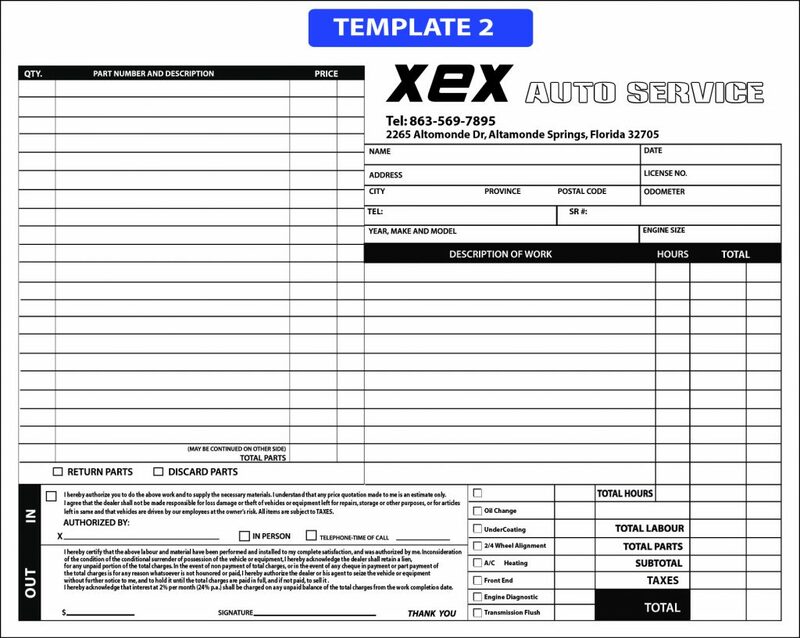 These forms can be numbered for sake of tracking / duplication . And we can print them loose (each set is glued togeather i.e. 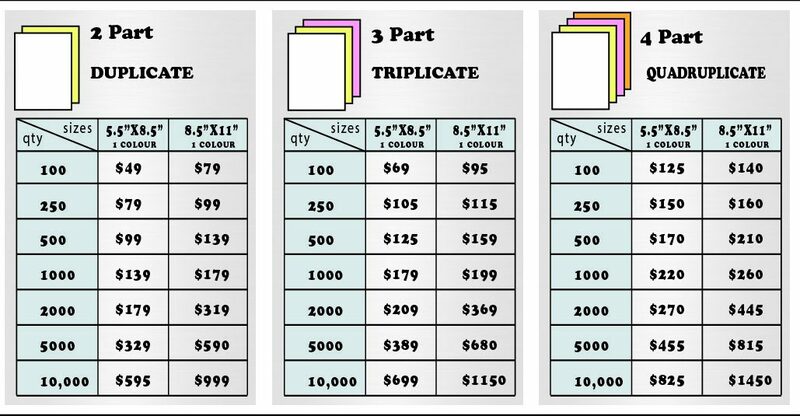 for 2 part – White and Yellow are glued; And for 3 part white, yellow and pink are glued togeather) or bind them in books as your requirement. 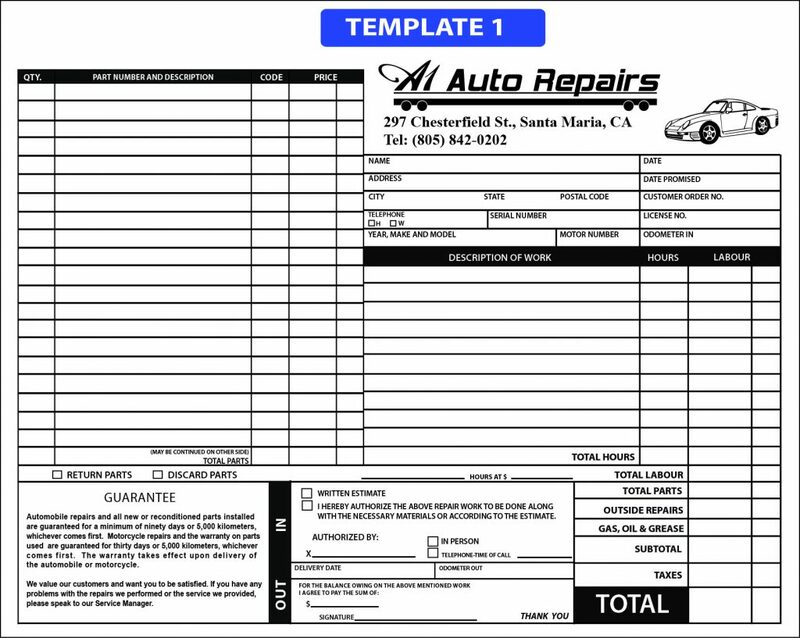 Options: Bound in books, numbered, perforated, hole punch, BACK SIDE PRINTING CAN ALSO BE DONE FOR TERMS AND CONDITIONS. Bound on the top/side of the book.